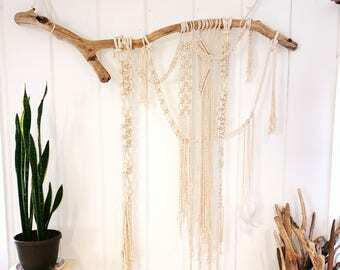 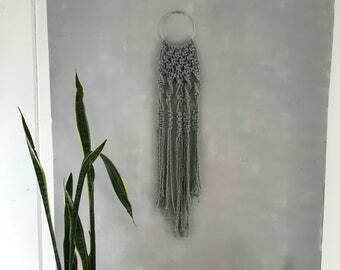 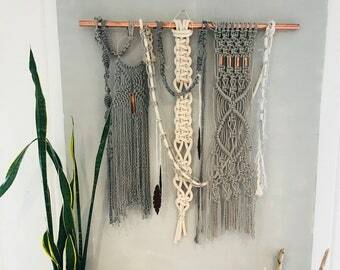 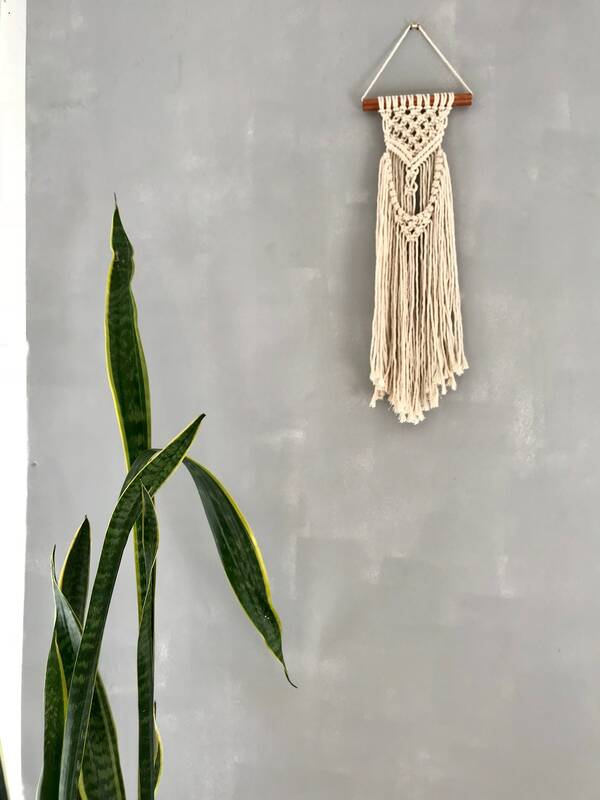 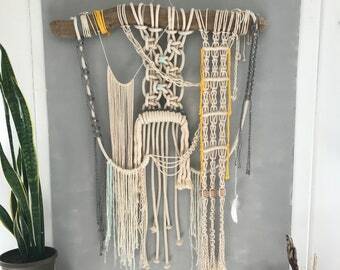 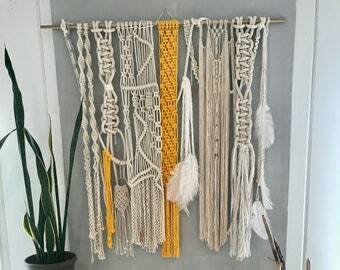 This beautiful smaller-sized wall hanging is a hand woven macrame piece on a lovely piece of brass. 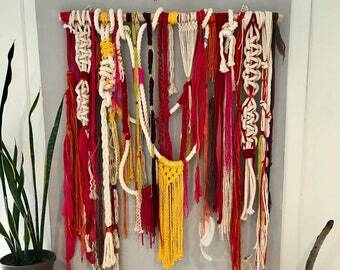 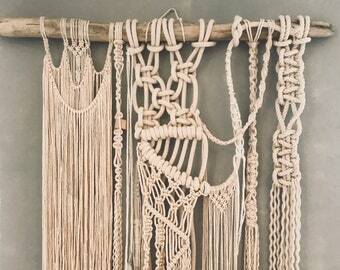 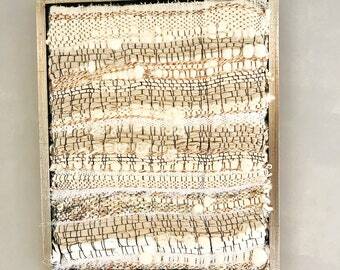 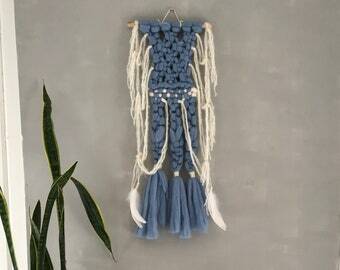 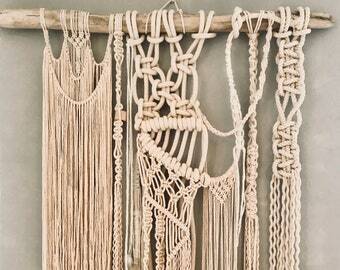 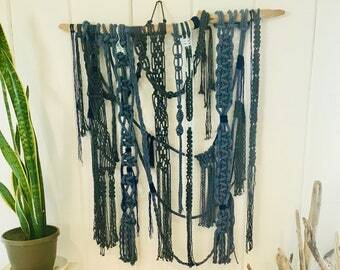 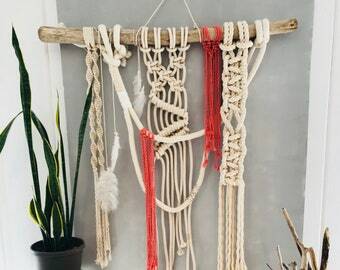 The softest 100% cotton rope is woven together to create a serene and peaceful wall hanging. 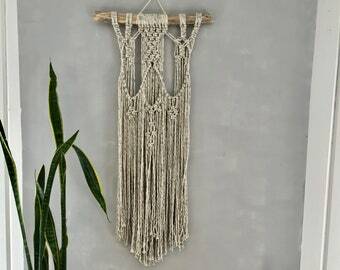 Would look great over a bed, in a nursery or as a statement piece on the wall. 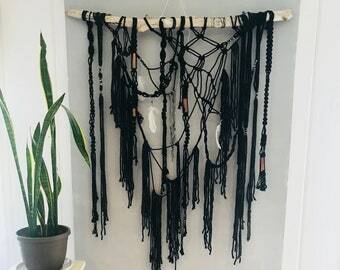 If you're a Bay Area local and would like to pick it up at my studio, message me before you buy and we'll arrange it and skip shipping charge.